COLLEGE PARK, MD—Saying not one of his fellow citizens even approached his level of well-being, a study published Thursday in The Journal of Applied Psychology found that a man starting Analyze This on JetBlue flight 598 to Boston is currently the happiest person in America. 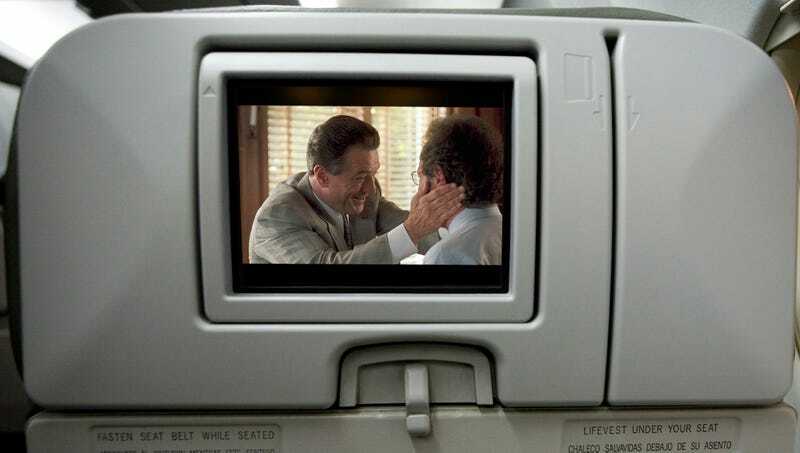 “We observed that as the occupant of seat 26A selected the film on the seatback display, adjusted his headphones, and leaned back in his seat while the New Line Entertainment logo came up, he was in fact the most satisfied individual in the entire nation,” said lead researcher Anna Yu, suggesting that the man would remain in this state of singular contentment for the next hour and 49 minutes. “Not only does he have no other obligations at the moment, he has just received an entire can of Diet Coke from a flight attendant and not just a small plastic cup filled with soda and ice. When you also take into account the fact that the passenger next to him had all but surrendered their shared armrest, you can see why we had to completely rework our models to accommodate this level of bliss.” Yu went onto say that, based on preliminary research, the moment the plane touched down at Boston’s Logan Airport, the man’s national happiness rank would drop approximately 100 million places.